This bunker is the heart of Kiev's fortified area, one that I said was never taken. 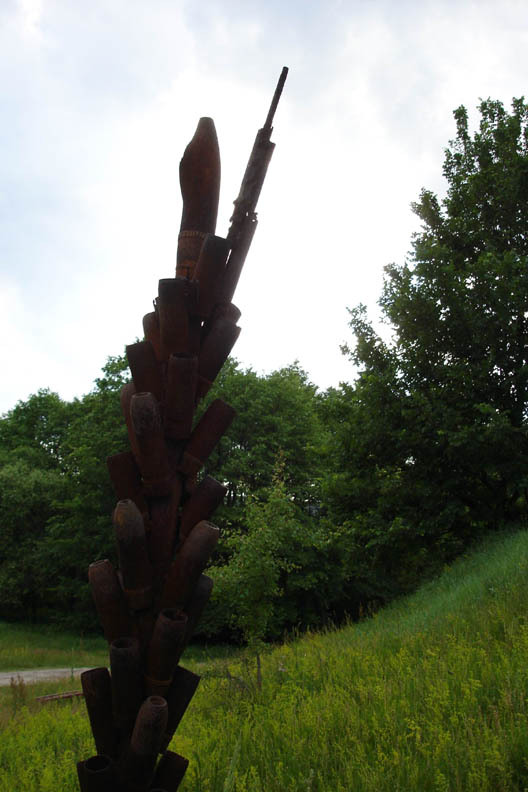 A memorial created from ammunition is located here. 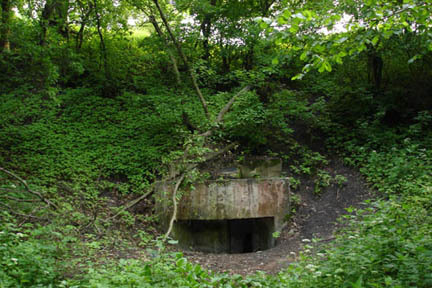 Soldiers of this bunker maintained their resistance from July to December 1941. The last of the defenders were bricked up and died of hunger. This is one big bunker with a sophisticated system of underground passages. It had caponier cannons above and it could give a shelter to a few hundred soldiers. It is open, so we can go inside. Defenders of this bunker refused to surrender. This angered Hitler who ordered that no prisoners were to be captured, crushing the entire thirty seventh army of general Vlasov. In December 1941 the battle for Moskov was in progress. The German army was defeated at Moskov and general Vlasov played an important role in the victory. 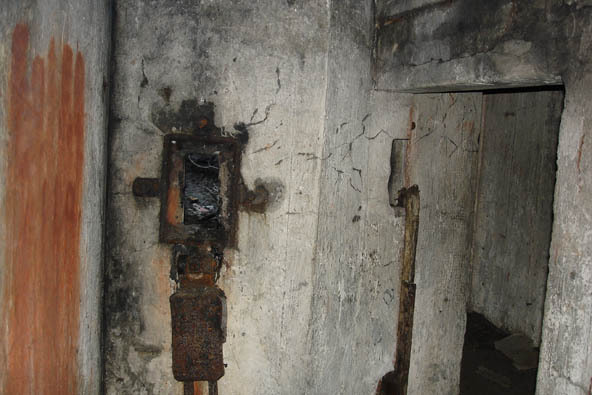 With the front line thousands of kms away the resistance in this bunker required German resources which reduced the strength of the attack in Moskov.